Finding an apartment in China seems easy enough – there are high-rise buildings everywhere you look, after all. Not so fast, though. 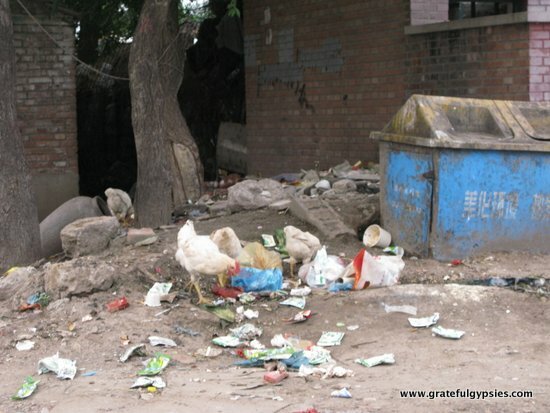 This is China (TIC), and nothing comes easy. You may browse through online ads and see a nice looking pad that fits your requirements, and you’ll excitedly call up the number on the ad. Although the ad is written in English, the loud voice at the other end of the line is sure to not speak a word of it. A great chance to practice your Chinese, but not what you were expecting! 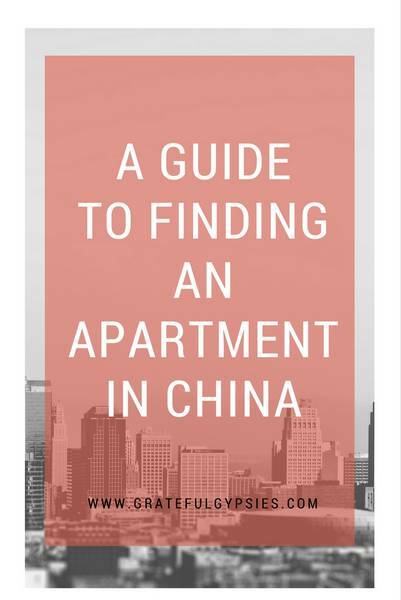 Have you tried finding an apartment in China? Tell us all about it in the comments! Agents will basically take you here. Agents are eager to rent out their most dilapidated and crummy units first, as chances are they’ve been sitting on the market for quite some time. Since you’re just a dumb foreigner, you get to be taken on numerous tours of these hellish apartments that make some jail cells look appealing. During our last apartment hunt in Beijing, Rachel visited over 30 places with agents – not a single one met our requirements. Use of any real estate agent is sure to result in numerous visits to disgusting places that you wouldn’t want to live in in a million years, and should you actually find one that isn’t downright awful, you’ll be forced to pay one month’s rent as a finder’s fee for the agents. So, if you shouldn’t use agents, what are you to do? We liked this ‘hood, so we moved in! We found this place because someone was moving out! If you keep an eye on local, English-language websites for Chinese cities (i.e. 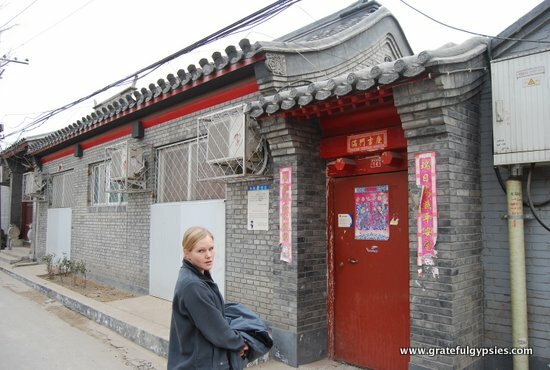 thebeijinger.com and gokunming.com), you’re sure to find ads from people who are leaving the city and are looking to find new tenants for their landlord. 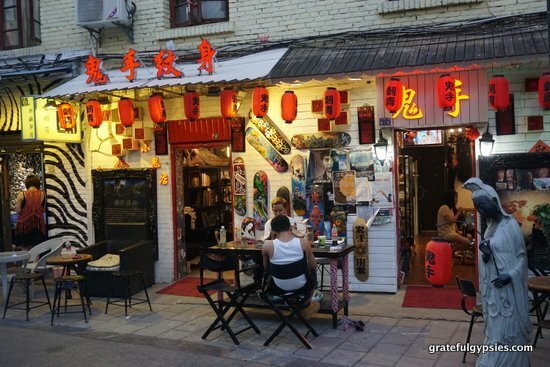 That’s exactly how we found our place in Kunming, and it worked out incredibly well. 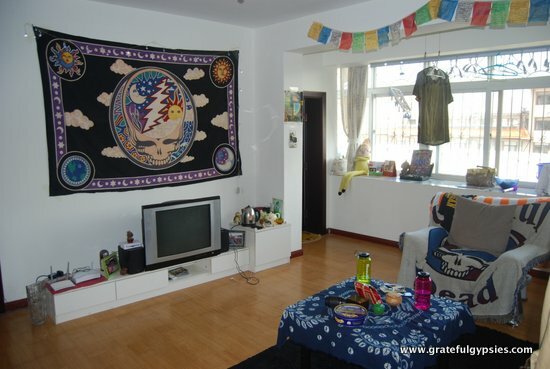 An Australian guy wanted to move in with his Chinese girlfriend, and we needed a place in Kunming. The landlady was saved the trouble of finding new tenants, and we were saved the trouble of a long and agonizing apartment hunt. Unless you’re lucky like we were in Beijing and find a landlord/lady that speaks English, you’re going to want someone there to translate everything during the contract signing. Just like everywhere else in the world, landlords can often be shifty in China. Make sure both parties agree to the terms and that they’re fair. Be clear about who is responsible for any maintenance or repair issues that may occur during the rental term. Work out how often rent is to be paid and how, and also the terms of the security deposit. There are lots of things you’ll want to know about your new neighborhood to make the move-in process and transition smooth. For example, is there bike parking available in the complex? If so, how much does it cost? Is there security, such as a front gate, and at what time is it locked? How are utilities paid? Who are you to call if you’ve got any electrical or plumbing issues? Where are the local markets/restaurants/shops? Try to have these questions answered at the beginning of your stay so you don’t have to bother the landlord constantly. By avoiding agents and doing the search yourself, working out the contract carefully, and getting acquainted with your new ‘hood early, you’ll save plenty of time, money, and hair that would otherwise be lost due to stress. Now that you’ve got your place in order, it’s time to get used to daily life in China and adjust to the inevitable culture shock. Of course, you should also be aware of what Chinese apartments are like, as they’re probably a bit different from what you’re used to. We’ve lived in quite a few places over the years, so we even wrote out descriptions of all of our Chinese apartments to give you a better idea of what your digs may look like here! Brilliant. Glad you found a place with ‘relative ease’! I’ve had a similar experience trying to rent an apartment in Spain! Hey Julia! Thanks for reading! We use the term ‘relative ease’ loosely, lol. I looked at about 30 apartments in 3 weeks before I found ‘the one’! Oh man, Rachel, I would love a download able checklist of all this information for whenever I do get to China! I will get to work on that ASAP! So happy to hear you’re finding it useful 🙂 Let me know if there are other ways we can help!